For years, I trained and competed. I was young, faced the best athletes, and did well. But even after ten-plus years, I was still learning about my body, how to breathe…relax…and use awareness… Use mental skills to consistently win. I didn’t know breathing could help. Then, my freshman year in college, I was struck. Beata Jencks was an older, grey-haired, German woman with a really thick accent; she was intellectual, warm, and one of my brilliant professors. I took her 2-day workshop on psychophysiology along with many student-athletes. I was mesmerized, post knee surgery, to learn the interconnection of the mind and body for healing and maximal body function. Then she used me as an example: “Lisa, Lisa, come up here,” she prodded. I gimped through the desk-aisle on my crutches. Beata proceeded to teach me and the class how to breathe and assist our bodies to take action. She referred to my knee injury, the exact spot where the meniscus was repaired. Then carefully, and mindfully, she explained how to breathe deeply and be in tune with each body part; she described being aware of my body’s status (tense, injured, or ill), and to visualize the lively inner workings (muscle fibers, tendons, blood cells, bone cells…), that they are in constant action, mending and radiating. As I started to focus on my knee, I imagined the healing inside my body. I could “see” the tissues and cells mending as I breathed new air and sent vital energy to my knee. It was amazing. I felt different. I was uplifted. Throughout the workshop, Beata taught from her book,Your Body – Biofeedback at its Best. And above all, Beata Jencks demonstrated that the breath was central to creating affirmative action. The breath is central to ALL body movement. 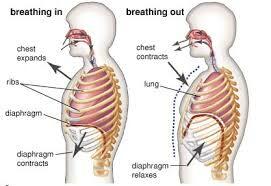 I currently teach deep breathing and imagery to my athlete-clients. My clients become more aware of their body, their thoughts, and how to channel their energy toward positive and productive action. Everything derives from the breath. For myself, as a national champion gymnast and former coach at Stanford University, I highly recommend you give the practice of deep breathing a try; incorporate it into your preparation and competition. Here is information and steps to ready your mind and body for top performance! 1. You can train yourself to breathe fully and intentionally; create a respiratory rhythm that enables you to do [and be at] your best. 3. 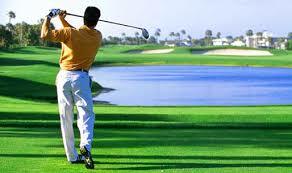 Understand that shallow tight breathing constricts your air and body movement. 4. Often, held unnecessarily, the short breath tenses muscles throughout the body; you limit actions and “fight” yourself. 5. Progressive relaxation is a valuable exercise. It teaches you to recognize the difference, when your body is tight and when it is loose. You intentionally tense up your muscles, inhaling and holding your breath, then blow out, releasing completely to be relaxed and limp. Like a wet noodle. Experiencing these two states — tense, then relaxed — bestows an acute awareness of your body so you can prepare to perform. 1. Inhale completely through your nose, filling your lungs, chest and diaphragm with air. Count slowly to 3 or 4 while inhaling. Feel the expansion of the ribs. Feel your abdomen spread. Be in tune with this In-Breath. 2. Hold the breath for a moment…again, fully aware of this sensation, being expanded, tight, and filled with air. 3. Exhale slowly on the Out-Breath, counting to 6 or 8 (twice as long as the inhale). As you exhale and empty your body, the Out-Breath brings you to be calmer and more Zen-like. In this state, you release tension and can get ‘in the zone.’ A “relaxed readiness.” Clear. Sure. Distractions and doubts leave, and you can focus sharply on your tasks. 4. Do this deep breathing often — in practice, 3 times in a row (to create change) before you start to perform a move or play. Practice breathing at night, before bed. 5 times in a row. Relax all muscles, become heavy, on the out-breath. After a week, or 7 days, of doing this intentionally, you can reduce to 2 times in a row. Do 30 days. Make this a habit. You CAN create positive change in your body and mind through breathing practice. Dr. Ken Ravizza and Dr. Keith Henschen, both ground-breaking sport psychologists, taught me all the mental tools, including deep slow breathing. Use deep breathing, along with positive talk, and you can ground yourself into a calm, focused state. And you will improve your performance. Me, talking to college track team about breathing and applying mental skills to performance. Breathing rocks! And if interested in group or one-on-one lessons, let me know. I’d be happy to work with you!